Outside garden lights provide you the opportunity to stay in your garden at night. Additionally, it’s also a fabulous security measure. During those warm summer nights sometimes it’s nice to stay outside for a couple of minutes. You can either stay on the balcony or in the garden. 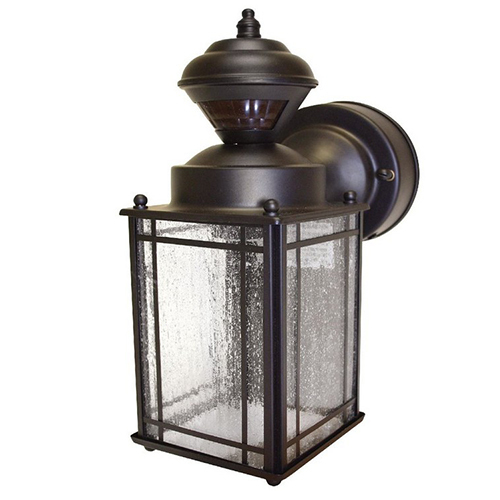 Are you looking for outdoor lights that can cover all sorts of spaces? Nowadays, most people commonly used LED outside lights powered by solar technology. However, the quality may differ extensively. On the other hand, there are several decorative lights that can look nice in your outdoor space but may not provide effective illumination. 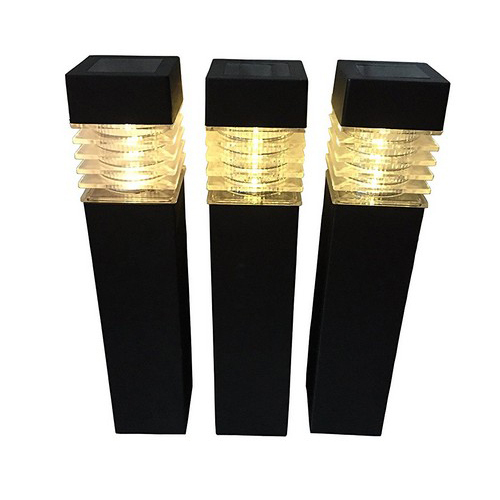 After doing a lot of research, we have found a range of garden lights that can brighten up your outdoor area. 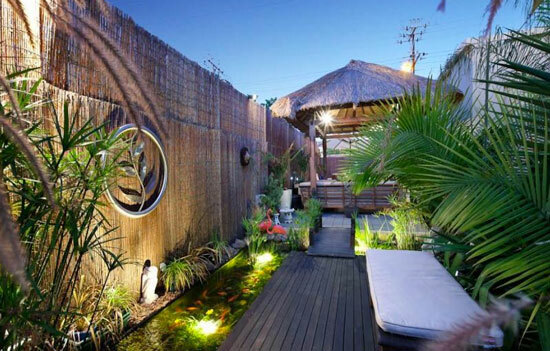 After having amazing landscaping, what you need is a fabulous outside garden lights system. Aside from providing security, outside lights are also a fantastic decoration for your night party. There are numerous garden lights and deciding on the best is quite a challenge. Here is a review of the best outdoor lights that range from solar charged to electrically charged. We hope that this guide can help you in making the best choice. 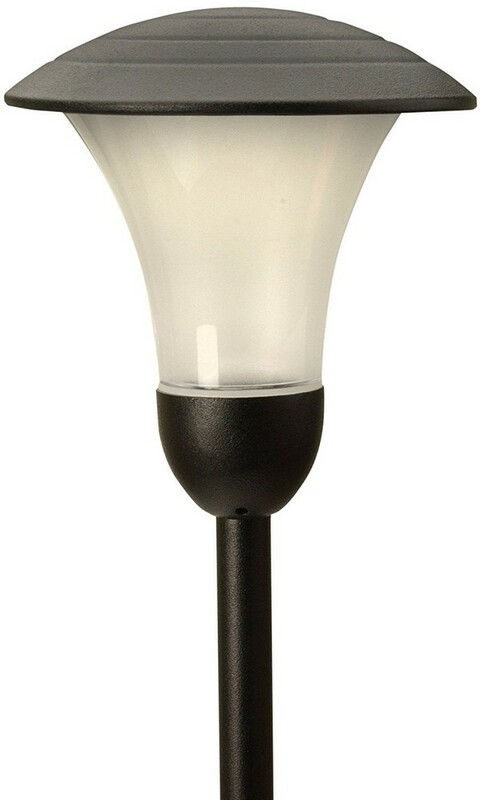 Moonrays 91381 Payton Solar LED Outdoor Lights are cheaper, brighter and can last longer. 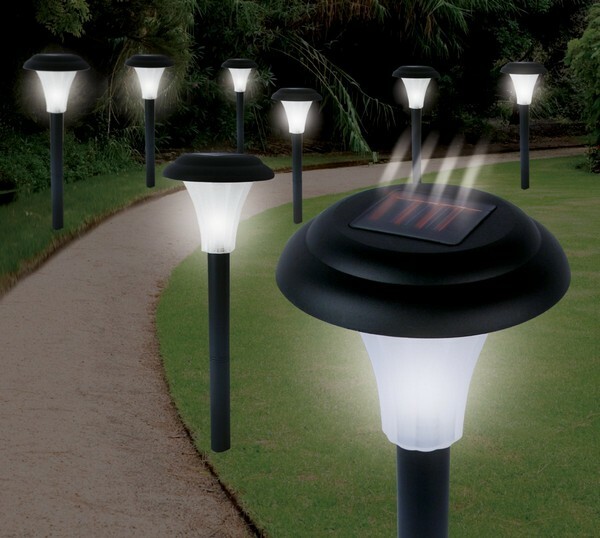 One set consists of eight black-themed solar LED lights. Each path light has the ability to brighten 12-inch space. 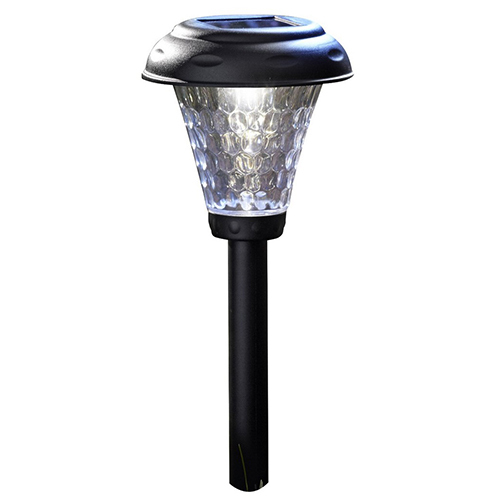 Lampat Waterproof Wireless Solar Outside Garden Lights are very easy to install and do not need any prior experience. It includes anchors and screws so you can securely install it anywhere you want. 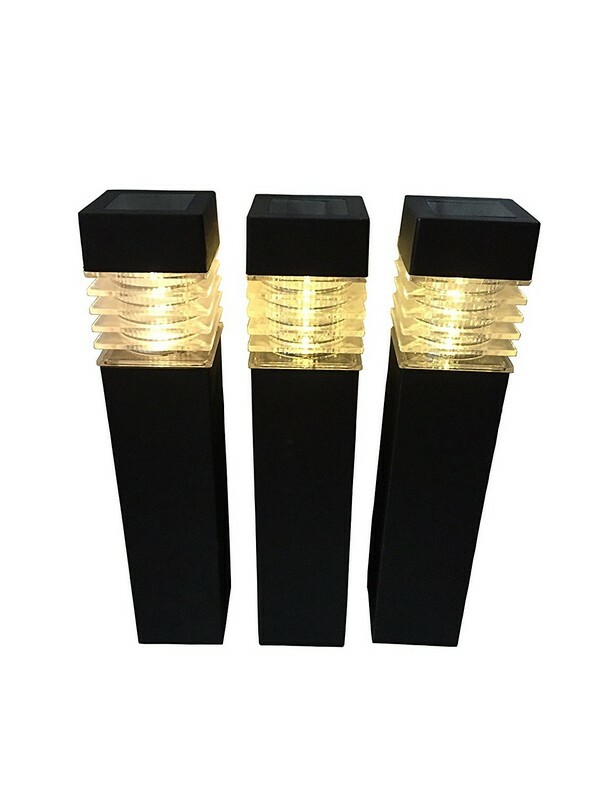 When it comes to durability, these lights are the best since it is made of solid plastic construction. The most affordable lights that can turn your nights into broad daylights. Excellent features! 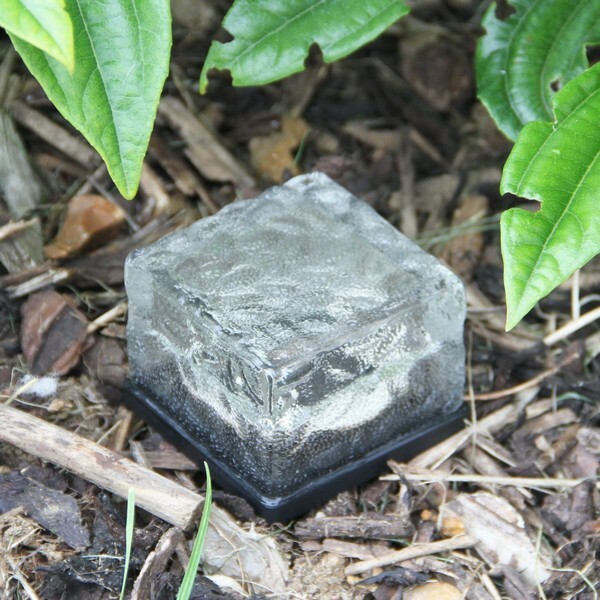 Frostfire Solar Ice Rocks Outside Garden Lights are a set of three lights. With this system, no cables or batteries are required. It has an implanted solar panel that gets charged every time it is exposed to the sun. You can charge it within three to six hours to obtain its best performance. The power on switch is hard to reach, however, it is not recommended that you’ll use any sharp object in order to reach it. The Voona Solar LED Outdoor Lights can charge efficiently. For just a single charge, the lights can last up to 6 hours without any interventions. There are three lighting modes that you can choose from. The on mode will turn on the lights thoroughly. The dusk mode will turn the lights on automatically after recognizing darkness. The motion mode automatically turns on the lights after distinguishing any movement. This is one of the best lighting systems in the market today. Provides an excellent light intensity. 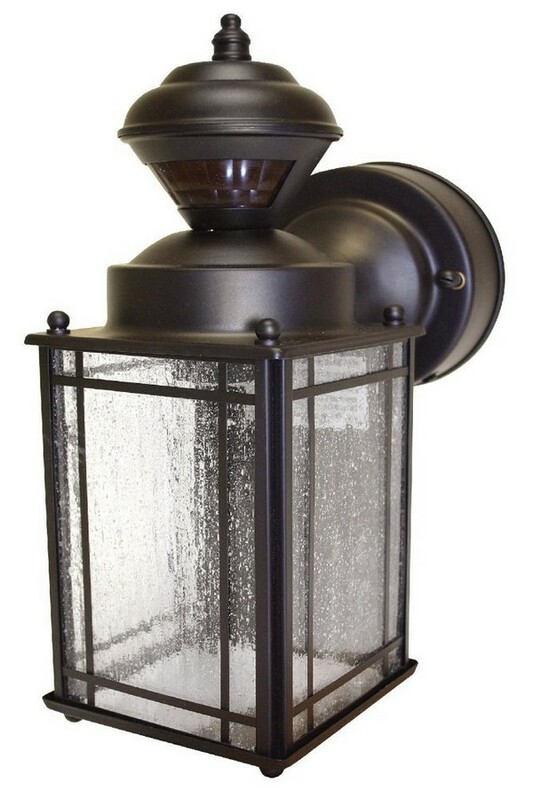 Zenith HZ-4133-OR Shaker Cove Outside Garden Lights features 150-degree motion detection system. It can recognize any movement within a range of 30 feet. Durably constructed of metal and clear glass. The 60-watt bulb can provide sufficient lighting for security. This system has low power consumption since it automatically dims when no movement is recognized within 30 seconds. But brightens up when there’s a movement identified within a range of 30 feet. With sturdy clear glass covering. Moonrays 95557 1-Watt LED Spotlight Outdoor Lights is the best choice if you are trying to focus the light on a particular target such as a wall, sculpture, tree or a flower garden. This accent light uses a low voltage 1-Watt LED bulb that can last for a thousand years. 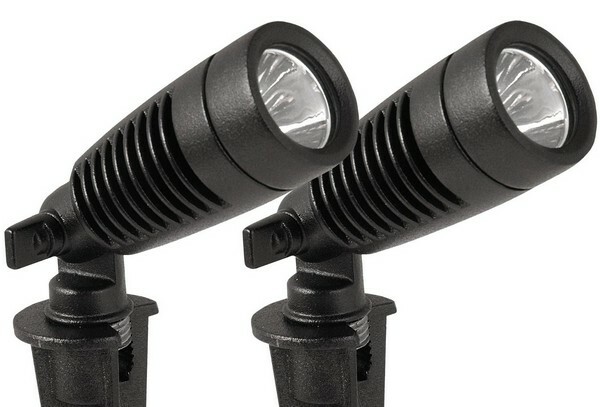 One set contains two spotlights that are 7 inches tall. Does not require any expertise. 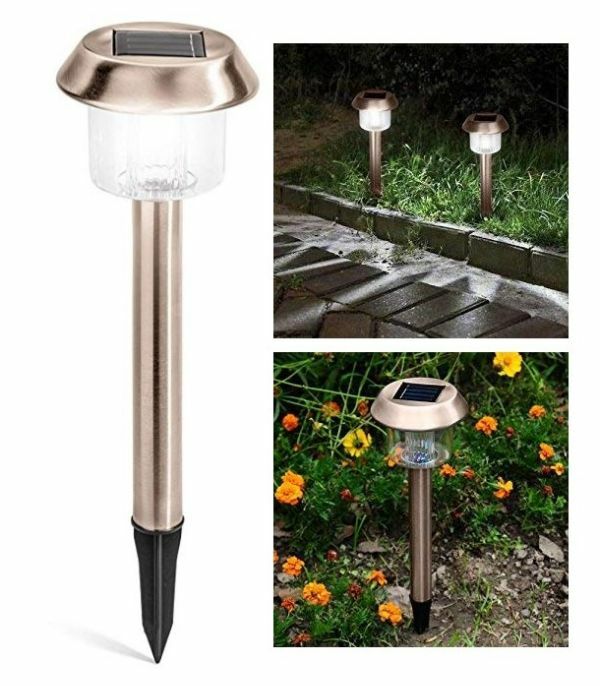 Solaray Solar Powered Garden Pathway Lights are not only used for illuminating but also serves as an excellent decoration to your garden. One pack contains six pieces of lights that measure 7.6cm x 30 cm x 47 cm. Once it is completely charged it can perform within 6 to 8 hours without any distractions. It uses super-bright LED bulbs that are very powerful. 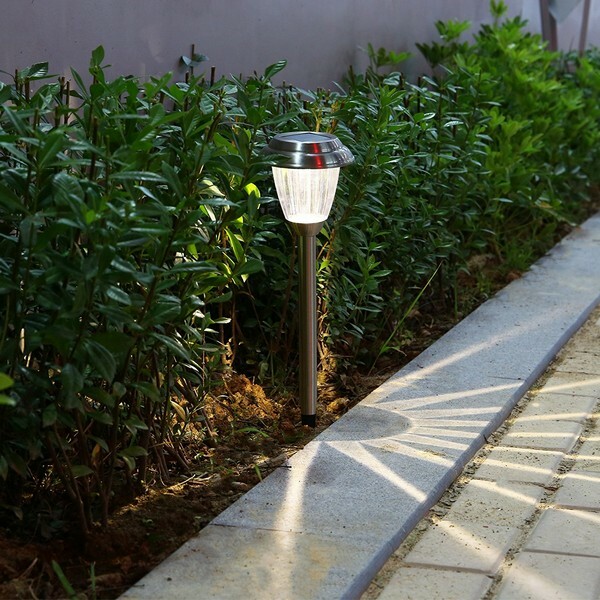 This is the perfect lighting for your walk paths and flower beds. Esky SL75 Crystal Glass LED Solar Outside Lights to have the ability to change colors, making your lawn look fabulous. It uses powerful solar panels that can charge completely in just 7 hours. The lights can perform up to 8 hours after a full charge. The 600mAh rechargeable battery is long-lasting and extremely powerful. 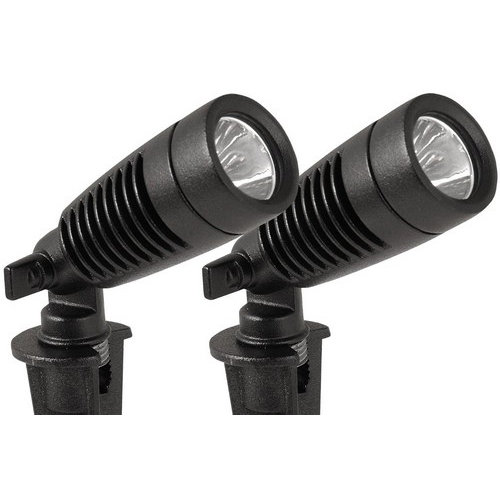 Moonrays 95558 1-Watt LED Addison Garden Lights is a sturdy product since it is made of tough materials. The structure is made of die cast metal and the covering is made of a frosted plastic lens. The system utilizes 1-Watt LED bulb that provides a decent light during dark nights. Its stunning design can make any garden look luxurious. Using a 1-Watt bulb is very cost-effective. 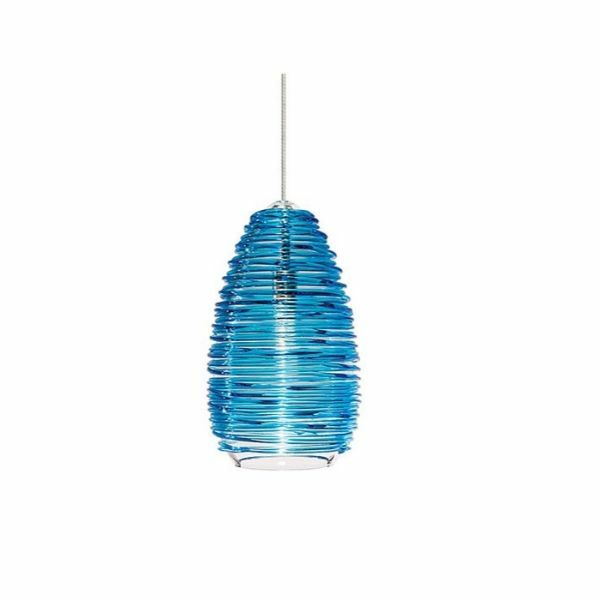 LBL HS235RDPC1B50MPT Vortex Pendant Garden Lights have the best features including quality, originality, and elegance. 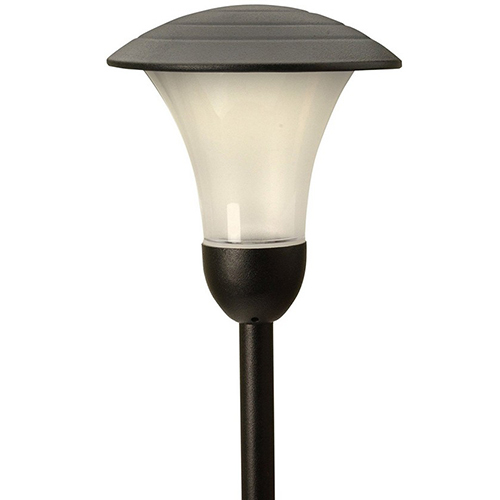 When it comes to outside garden lights, LBL lighting system is the best. The red artistic glass combined with a chrome finish is an awesome decoration for any night events. It measures 4″ W x 7.3″ H, which is just compact enough for any outdoor space. The 50-watt LV Xenon bulb gives you sufficient brilliance with low power consumption. Sogrand Solar Square Bollard Garden Lights is a super outdoor lighting system that is very durable. It can provide you instant brilliance during black-outs. It charges during the day and provides light at night. The 2V 25mA solar panel is very efficient. The LED bulbs generate bright light at dark nights. 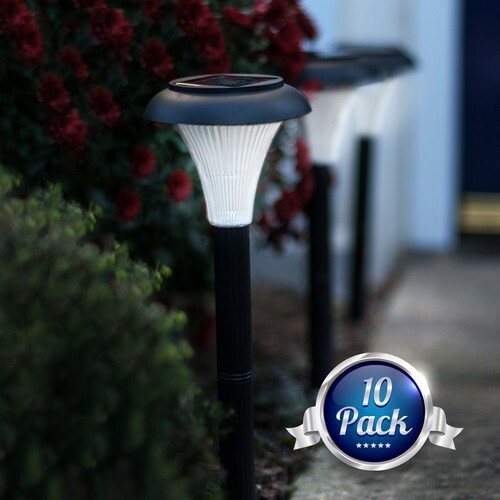 This is the perfect light for walk paths and driveways. 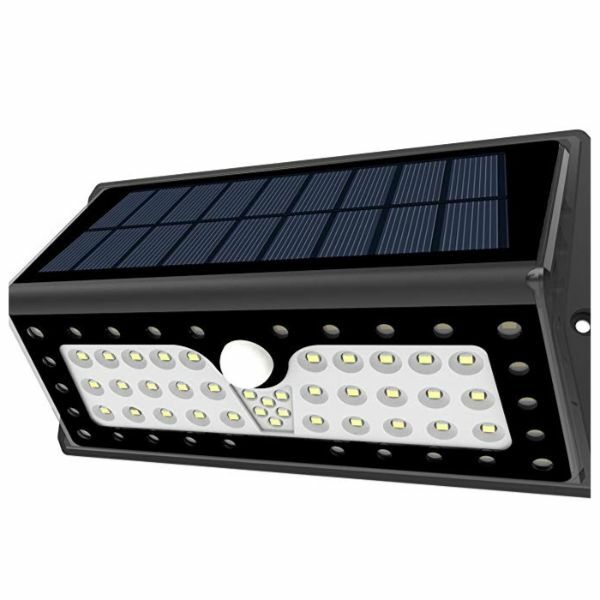 Ideaworks JB5629 Solar LED Accent Outdoor Lights are the most affordable solar-powered path lights. The lights will automatically turn on at dusk and automatically turns off at dawn. The super-bright LED bulbs can provide sufficient illumination. It uses a wireless system and has a compact design to guarantee that it will not clutter on your lawn. 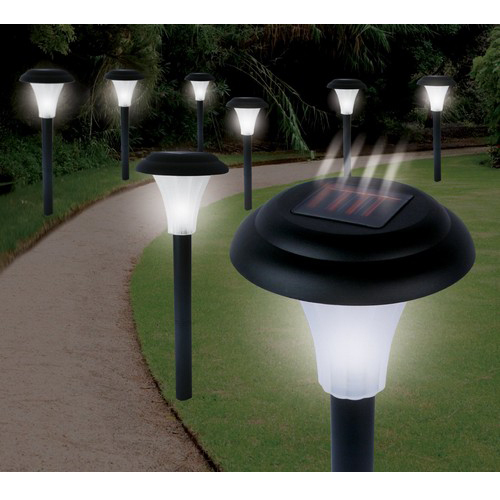 GardenJoy Solar Powered LED Outdoor Lights are a set of 10 black themed lights. 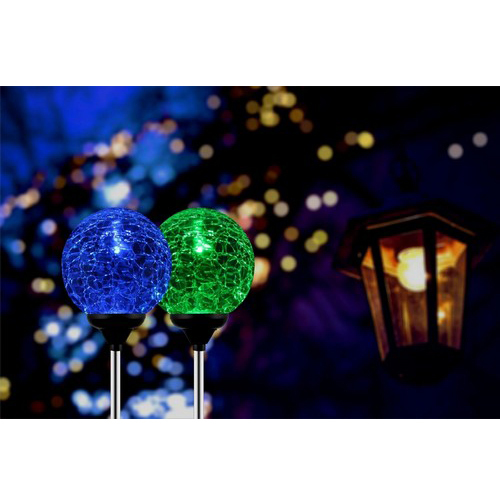 These solar powered lights are compact and can stand alone. It is very easy to assemble. These energy saving lights can illuminate up to eight hours. It does not damage the environment or your pocket. This is perfect for your paths and lawn. Can be installed easily without any electrical skills needed. Task Lighting is used for practical applications. For instance, on the stairs, paths, for preparing foods and others. Decorative Lighting is not only for aesthetics since it can also provide radiance whenever you are having dinner and drinks outside together with your friends. Accent lighting is very useful if you want to highlight something on your landscape. You can choose to focus the spotlight on the trees or sculptures. It can help in drawing the attention away from unpleasant things such as clotheslines. When installing garden lights, you can either use halogen lights or LED lights. Halogen lights are commonly used for landscapes. It generates a yellow light and utilizes more energy. Also, it is hot to touch. LED lights generate pure white light which is more suitable for landscapes. It is also more cost effective and is not hot to touch. Outdoor lights can either be powered by solar energy or electricity. Solar energy is a renewable resource, making it better for the environment. Solar powered outside garden lights will be charged during the day and used at night. It is advantageous since it does not use any cables. All you have to do is to stick the lights in the ground and you’re done. However, its light is not as bright as electric lights. This means that it is not appropriate for spotlights. Electricity is the best choice if you need more brilliance. Most likely, you’ll need a transformer where the lights will be plugged in. If you want to install several lights then you will also need more transformers to avoid blowing up the fuse. Electrical lights need cables and wirings. Ensure that you know how to install it or ask a professional to do it. Outside lights provide you tons of benefits. It can brighten your pathway, prevents burglary and lets you see who’s calling. The visual effects of garden lights are amazing. But before you start installing outdoor lights, it is very important to always stay safe. Don’t forget to switch off the main power at the fuse box. Switch off the breaker and attach a note to let them know that you are working on the electrical circuit. Use a socket tester to verify if all the circuits are already dead, making it safe for you to work on. Never take risks when it comes to electrical safety. For your DIY project, we generally recommend installing low-voltage systems that use 12 volts. This is easier to install, safer, inexpensive and does not use too much energy. This system requires four basic components which are the transformer, lights, low-voltage electrical cable, and accent fixtures. Putting up a typical lighting system consists of three major steps. First, you need to put the cable on the ground then install the transformer and lastly connect the lights. Outside garden lights can set the ambiance of your outdoor space. 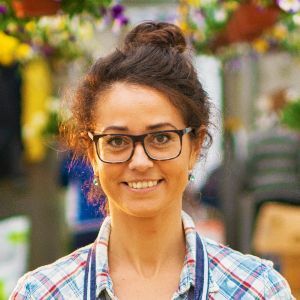 It can make your garden look more creative. These garden lights can also be used as Christmas decors. 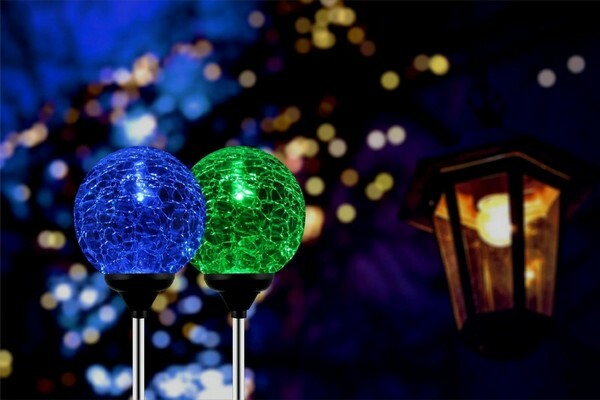 Choose the best garden lights that are suitable on your budget and your taste. For low power consumption, the perfect choice is solar-powered lights. Which outside lights are the best?